Classic British motorcycles like this 1974 Norton Commando seem to have their devoted legions of fans for the same reasons American musclecars do: they’re relatively available, easy to tinker with and modify, and simple to make into a strong statement that reflects the individual owner, for better or for worse. Parts interchange between models and even brands, the basic engineering is solid, or at least straightforward to remedy, and there is huge aftermarket support. 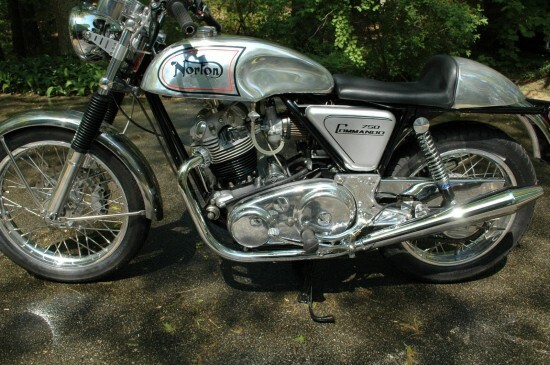 Nortons of the period were a bit like the John Bloor’s resurrected Triumph of the 1990s: modular designs allowed the factory to tailor bikes to fit niche markets, like the Interstate that was clearly intended to speak to American fans. But after the 1973 shift from the 750 to the 850 version, they were all built around the 828cc engine in different states of tune. They also featured Norton’s solution for the increasing vibration supplied by their ever-larger parallel twin. 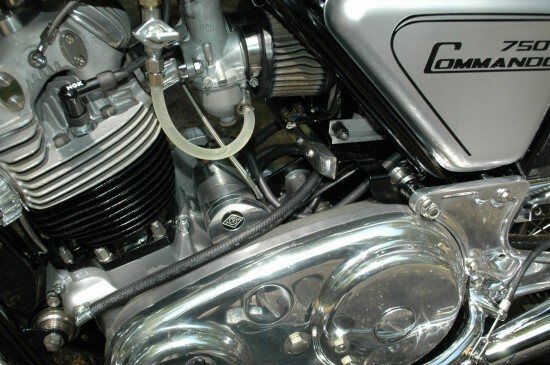 Parallel twins are compact and inexpensive to manufacture compared to a v-twin or multi. 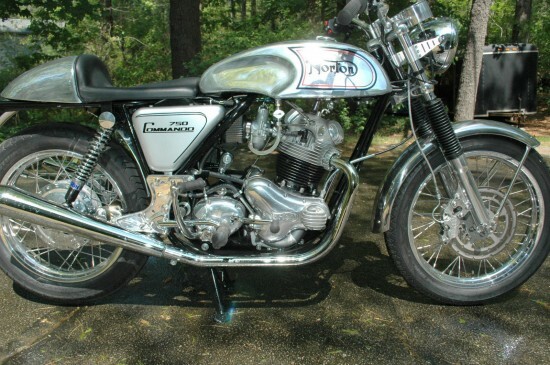 But while modern models use all sorts of balance-shaft trickery to prevent vision-blurring and hand-numbing vibration, bikes in the 1950s and 1960s relied on tricks like odd rubber footpegs [see: Benelli Tornado] or the sheer cussedness of the rider to combat fatigue. 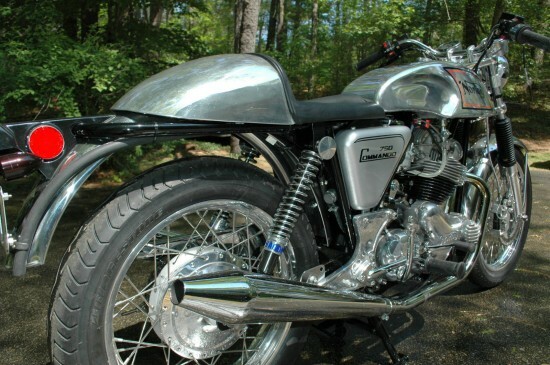 Norton’s solution was the perfect example of plucky British workshed engineering: they basically used rubber mounts to isolate the engine, transmission, and swingarm from the rider. Those bits were left to vibrate happily while the rider racked up the miles in relative comfort. For such a simple concept, the Isolastic mounting system works very well but must be carefully maintained, as worn bushings can lead to vague and unpredictable handling. This particular machine’s classic looks actually suggest a 1950s machine to me, with all that bare, polished metal. But the builder has clearly spent a great deal of effort and money to update the bike functionally in as many ways as possible. Custom build using the best parts available. I started with a 1974 frame and installed a 750 hi performance motor that I rebuilt for just such an occasion. Most if not all the parts are new or better than OEM replacements. As you can see from the list, this is a serious amount of money invested in the parts alone. The Alton E-Start kit alone retails for $2495 and drives the crank directly without going through the primary so it spins the engine with very little effort. If you’re looking for something completely different, this is the one. I have ridden the bike to put some shakedown miles on it and everything is working well. Oftentimes, it’s the perfectly preserved, completely original bikes that command the hearts and dollars of collectors. But the Commando seems to buck that trend, as long as the updates and modifications are the right updates and modifications… Bidding is currently up to $9,100.00 with the Reserve Not Met and a $14,995.00 Buy It Now option. 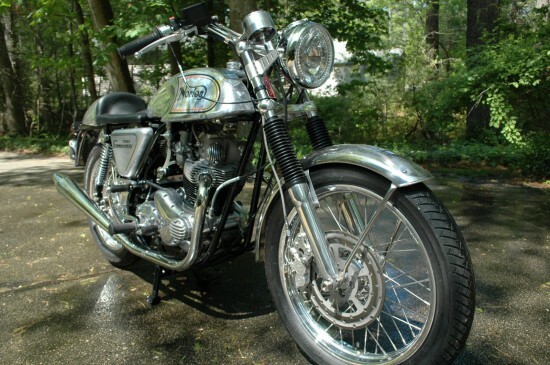 Nortons were always easy to modify and lent themselves to tinkering, modifying, and improving. A bit like the MGB, you can just about build one from an aftermarket catalog, assuming you have a frame number to start with. This one seems to use the best of the old and the best of the new to create something that captures the classic British biking spirit. 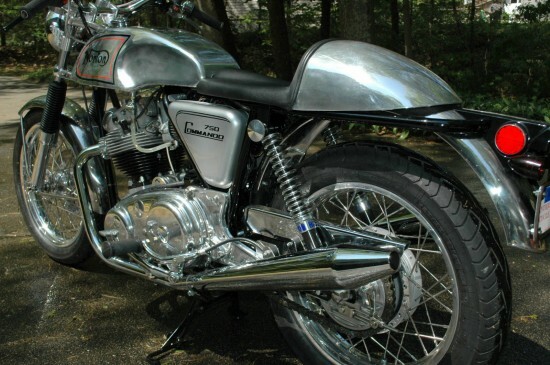 It may not be to everyone’s taste, but it is very classic and the completed bike is very… polished.